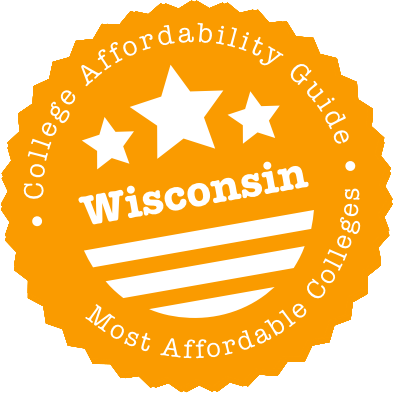 Scroll down to see our top-ranked colleges in Wisconsin, loans and scholarships for Wisconsin students, and advice on how to save money going to college in Wisconsin. The University of Wisconsin Stevens Pointe is a 121-year-old public institution that offers over 50 academic majors, more than 80 minors and 16 graduate programs. In-state freshmen pursuing a degree in Business Administration, Economics, Computer Information Systems, Accounting, Actuarial Math or Web & Digital Media Development are eligible for the Sentry Insurance Student Leadership Scholarship Award ($2,500/year). Freshman education majors with good academic records can apply for the Karen Engelhard Alumni Scholarship ($1,500/year). The Melvin R. Laird Youth Leadership Award ($2,000 per year) supports academically outstanding freshmen from the former representative's congressional district. The award can be given to in-state freshmen who meet the academic criteria if there are no candidates from the 7th Congressional District. Beloit College takes pride in its distinctiveness, such as having two museums, a business incubator, and 20 ancient Indian mounts, all located on campus. In the same distinctive vein, if students don't find a suitable major among the 50 structured offerings, they can devise a major. About 95 percent of students receive financial aid, including scholarships, loans, and work study programs. The average aid package tops $26,000 in gift money, and the college has been listed on Princeton Review's Financial Aid Honor Roll. Beloit College made the top 20 for best undergraduate teaching in the 2017 edition of the college rankings published by U.S. News and World Report. With a student body of less than 800, Ripon College has produced some notable graduates. (You've probably heard of this guy from the class of 1964 named Harrison Ford, for instance). Ripon is nationally ranked both for its academics and its efforts to promote affordability. In 2017, Washington Monthly listed it as No. 3 in the Midwest for "Best Bang for the Buck," and Money Magazine placed it as No. 26 in a listing of most affordable private schools. Every student who enrolls receives some sort of financial aid, including need-based grants and merit scholarships in categories such as academic performance, science interest, and commitment to diversity. Students will find many part-time jobs available on campus. A comprehensive four-year institution within the University of Wisconsin System, the University of Wisconsin La Crosse has five schools and colleges offering 91 undergraduate and 26 graduate programs. Each year the university awards more than 400 merit-based scholarships to entering freshmen who have an excellent academic history. The average first-year financial aid package is $7,060. The Eagle Apprentice Program offers freshmen and sophomore students the chance to gain in-depth knowledge and hands-on experience by working with seasoned faculty members on a research project. The program includes a $1,000 grant award for the first year and $2,000 for the second year. Starting out with a student body of 159 when the university first opened its doors in 1926 as the State Normal School, the University of Wisconsin Eau Claire today offers more than 80 majors and minors and 14 graduate programs (including one doctorate program) to its students. In addition to the monetary award ($1,500/year, renewable for one year), the Blugold Fellowship gives academically outstanding freshmen the opportunity to work on a research project with a faculty member. Entering freshmen who are from an under-represented group are eligible for the Diversity Scholar Award ($6,000/year). The Centennial Experience Scholarship offers a one-time $2,500 grant to qualified freshmen with financial need to be used for an enrichment experience such as a Study Abroad opportunity. An independent Christian college with nearly 1,200 students, Wisconsin Lutheran College offers 38 undergraduate majors, 26 minors, and 5 pre-professional programs. Incoming freshmen are considered for the following merit-based scholarships: Presidential Scholarship ($15,000 per year), Academic Scholarship ($12,000 per year), and the Collegiate Scholarship ($10,000 per year). Students with exceptional artistic abilities can apply for the Art Scholarship ($1,000 per year), the Music Scholarship (up to $3,360 per year), or the Theater Scholarship ($1,000 per year). Transfer students may be considered for the Transfer Scholarship ($10,000 per year) or the Transfer Grant ($5,000 per year). Special scholarships from Wisconsin Lutheran College include the Honors Scholarship and Homeschool Scholarship; both are one-time grants of $1,000 each. Established in 1891 and now officially designated as Wisconsin's Polytechnic University, the University of Wisconsin Stout has an undergraduate student population of just over 8,000 (Fall 2014) and is located on 131 rural acres in Menomonie, Wisconsin. Qualified incoming freshmen are automatically considered for the Chancellor's Scholarship, which awards $3,000 for the first year and can be renewed for $1,500 for a second year. Freshmen entering the Honors College may be eligible for a $1,000/year Honors scholarship. Beginning students with African-American, American Indian, Hispanic and/or Asian background may be eligible for the Multicultural Student scholarship ($2,500/year). Academically outstanding freshmen can apply for the Stout Scholars program ($5,000/year). Founded in 1868 as the Whitewater Normal School, the University of Wisconsin Whitewater has grown into a four-year, co-educational institution offering its more than 12,000 students a full range of undergraduate and graduate programs. The average freshman financial assistance package is $7,236 for the 2014-2015 academic year. Entering freshmen who graduated from Wisconsin high schools with excellent academic records are eligible for the Academic Excellence Scholarship ($2,250/year). Business majors may be considered for the Pacific Commonwealth Scholarship, which covers up to one semester's worth of tuition. Junior or senior students majoring in elementary education can apply for the Karl & Doris Zahn Scholarship ($1,000). The Jeffry Kranz Management Scholarship ($1,000) supports students who have declared a major in management. The University of Wisconsin Colleges is a 13-member network of freshman/sophomore colleges that offer an Associate of Arts and Science degree and prepares students to transfer to a variety of baccalaureate and professional programs. Forty percent of enrolled students qualified to receive the Pell Grant for the 2013-2014 school year, with the average grant award amounting to $4,038. All scholarships awarded by the Student Financial Aid Office at UW Colleges are merit-based. Financial aid packages may include loans and work-study opportunities in addition to grants and scholarships. The third largest university in the state, the University of Wisconsin Oshkosh offers its nearly 14,000 students the choice of 60 undergraduate majors and 17 master's programs. The UW Oshkosh Enhanced Academic Excellence Scholarship awards 10 academically outstanding freshmen $2,000 tuition remission, 50 percent of standard room and board, a $400 book allowance and $1,500 work opportunity. In addition, five freshmen will be awarded $2,000 tuition remission and $1,500 work opportunity. Admitted freshmen who are National Achievement Scholarship and National Merit Scholarship finalists receive credit for resident tuition. The award for National Merit Scholarship finalists includes standard room and board and an $800 book allowance. Established in 1874 and located on 226 acres, the University of Wisconsin at River Falls offers 69 majors and minors to its more than 6,000 undergraduates and graduate students. The Chancellor's Scholarships include two full-tuition and four half-tuition scholarships for six incoming freshmen with excellent academic records. An additional $2,000 stipend comes with these scholarships to allow recipients to take advantage of enrichment opportunities such as a study abroad program. Students accepted into the Honors Program may be eligible for the Honors Program Scholarship, which awards $2,500 each year (renewable for a second year). Ethnically diverse (African-American, Hispanic, Asian or American Indian) or economically disadvantaged students are considered for the Opportunity Scholarship ($3,000 per year). From its founding in 1866 as the first state teacher preparation institute in Wisconsin, the University of Wisconsin Platteville has become a comprehensive, four-year public university offering 41 majors, 76 minors, 17 pre-professional and 3 graduate programs. Academically outstanding freshmen with strong leadership qualities are considered for the Chancellor Scholarship. The program awards the full cost of tuition and fees. Entering freshmen with a declared major within the College of Engineering, Mathematics and Science with a good academic record and demonstrable financial need are eligible for the Lois Cooper Scholars Program ($9, 300 per year). Admitted freshmen who graduated from tri-state area high schools may be eligible for the Community Scholars Program. With campuses in Ashland, Rice Lake, Superior, and New Richmond, Wisconsin Indianhead Technical College is a two-year college that offers many associate degrees and certification programs. There are many scholarships available to WITC students including WITC Foundation Scholarships. WITC also offers a payment plan, which is a deferment for students who have an outstanding term balance of $300 or more, and it is considered a loan. Students may also take advantage of the Federal Work-Study program, which is designed to provide students with part-time employment. Small, private Northland College uses its location on the shores of Lake Superior to focus its students on sustainability and the environment. Freshmen begin their college life with a five- to 12-day outdoor orientation adventure before settling into classwork that has a hands-on career focus. That exciting beginning leads to success -- nearly 90 percent of students complete their undergraduate degree in four years or less, which helps keep costs down. Northlands also administers a range of scholarship, grants, and work-study programs. Students with high grades and test scores can gain academic scholarships of $10,000 to $19,000 per year. Wisconsin residents may be eligible for one of six need-based or merit grant programs funded by the state. Part of the Wisconsin Technical College System and established in 1912, Western Technical College offers 65 degree programs, an English Language Learners program, Lifelong Learners courses, GED/HSED classes and apprenticeship training. The university has several endowed scholarship programs for students majoring in business (30 scholarships), including the Ho-Chunk Nation for Scholars Endowed Scholarship. This scholarship considers Native American students majoring in Finance or Accounting at the university. Students entering the health and public safety fields may be eligible for one of 52 endowed scholarships, including the Coulee Region White Cane Club Endowed Scholarship. This program support visually handicapped students with demonstrable financial need who are enrolled in the Occupational Therapy Assistant Program. The landscape of affordable colleges in Wisconsin is dominated by University of Wisconsin (UW) System schools and Wisconsin Technical Colleges. That’s good news if you’re looking at state financial aid, since many Wisconsin student scholarships and grants cover these institutions. The cost of living is fairly affordable throughout the state and cities like Milwaukee are teeming with organizations that can help low-income students get to college. Wisconsin does not have any statewide transfer agreements, but many Wisconsin educational institutions offer articulation agreements, and some systems have transfer agreements as well. The University of Wisconsin, the state’s largest higher education system, offers a generous transfer policy that makes it simple for most students to transfer credits between institutions. Wisconsin Technical College System students planning to attend a University of Wisconsin institution can use the Universal Credit Transfer Agreement. This agreement includes more than 500 articulation agreements between the system, and is useful for exploring degree plans and course transfer plans. Students who want to develop transfer plans can do so through Wisconsin’s Transferology tool. this tool allows students to see how transfer courses will apply to a major or program’s specific requirements. You can create your own course portfolio and see how your courses will fulfill requirements at institutions in Wisconsin and throughout the United States. Want to see how your courses will transfer to a University of Wisconsin campus? Use the University of Wisconsin Transfer Wizard to identify course transfer opportunities. Wisconsin residents can take multiple avenues to an affordable college education. The State of Wisconsin Higher Education Aids Board (HEAB) is in charge of administering state financial aid. Here you’ll find a list of grants, scholarships & loans for Wisconsin residents, advice on the financial aid application process and FAQs for popular state programs. Unlike some other states, Wisconsin has grants and loan forgiveness programs for both public schools (University of Wisconsin System and Wisconsin Technical College System) and private, non-profit colleges & universities. HEAB has a useful table of which state grants are available at which Wisconsin schools. If you’re thinking of schools in neighboring states, check out the great tuition reciprocity agreements in our section on Additional Support. Need help with the college application process? Wisconsin Students GO 2 College (WSG2C) organizes events in high schools throughout Wisconsin. The Wisconsin Department of Public Instruction also runs a DPI Precollege Scholarship Program that allows high school students who are eligible for free or reduced price meals to attend summer camps and complete courses (e.g. ACT Prep) on college campuses. Looking for other scholarship aid? The Fund for Wisconsin Scholars (FFWS) provides need-based grants to eligible graduates of Wisconsin public high schools who want to attend a UW System school or Wisconsin Technical College. No application is required. Summary: This grant is available to Wisconsin residents with a severe or profound hearing or visual impairment. It can be used for undergraduate study at an in-state or eligible out-of-state public or independent institution. Award amounts range form $250-$1,800 per year for up to ten semesters. How to Apply: Complete the Hearing & Visually Handicapped Student Grant Application, available through HEAB. Summary: This grant is available to Wisconsin residents who are at least 25% Native American. It can be used for undergraduate or graduate study at various Wisconsin institutions. Award amounts range form $250-$1,100 per year for up to ten semesters. How to Apply: File your FAFSA and complete the Indian Student Assistance Grant Application, available through HEAB. Summary: This grant is available to Wisconsin minority undergraduates—excluding first year students—who are enrolled at least half-time in certain Wisconsin institutions. Annual award amounts range from $250-$2,500 per year for up to eight semesters or twelve quarters. How to Apply: File your FAFSA and contact the Financial Aid Office at your college for more information. Summary: This grant is only available to primary care physicians and psychiatrists who complete a medical graduate program in Wisconsin and agree to practice in an underserved area in the state (e.g. HPSA, MUA/MUP, etc.). The minimum award is $20,800 per year for up to three years. One year of service in an underserved area equals one year of financial assistance. To be eligible, you must submit a Notice of Intent any time during your residency, but prior to accepting employment. The grant webpage has more info on eligibility, application procedures, and answers to FAQs. How to Apply: Complete the Notice of Intent before you start your job. After you have completed your service, you can fill out the Claim for Financial Assistance. Summary: This need-based grant is available to low-income and educationally disadvantaged Wisconsin residents pursuing undergraduate programs at various Wisconsin institutions. Award amounts range $600-$1,800 for the initial (freshman) year. Once you have completed your first year, the minimum continuing award is $250 and the maximum is $1,800 for a total of ten semesters. HEAB also has a list of TIP Grant FAQs. How to Apply: File your FAFSA and contact the Financial Aid Office at your college or a Wisconsin Educational Opportunity Programs (WEOP) counselor for additional forms. You can be nominated by either WEOP or your college. Summary: This grant is available to Wisconsin residents pursuing undergraduate studies at certain public/state institutions in Wisconsin. Award amounts range from $250-$3,000 per year for up to ten semesters. Summary: Since the regular WG only covers state/public schools, Wisconsin also offers a grant for Wisconsin residents pursuing undergraduate studies at independent colleges and universities in Wisconsin. The grant is partially calculated on the portion of your tuition that is in excess of UW-Madison tuition. The minimum is $250 per year. The maximum is set by HEAB. Summary: AESs are awarded to Wisconsin seniors who have the highest GPA in their public or private high school. (The number of scholarships each high school is eligible for is based on student enrollment figures.) The scholarship can be used at various Wisconsin institutions. The scholarship helps cover full-time tuition rates—up to $2,250 per year for up to eight semesters. HEAB has a list of Academic Excellence Scholarship FAQs. How to Apply: Your high school will nominate you based on your GPA. Once you’ve been nominated, you’ll need to return a form to HEAB stating which Wisconsin school you plan to attend. Summary: TESs are awarded to Wisconsin high school seniors who have the highest demonstrated level of proficiency in technical education subjects. The scholarship can only be used at a Wisconsin Technical College System (WTCS) school. The scholarship helps cover full-time tuition rates—up to $2,250 per year. How to Apply: Your high school will nominate you based on HEAB criteria. Once you’ve been nominated, you’ll need to return a form to HEAB stating which Wisconsin school you plan to attend. Summary: This forgivable loan is available to minority undergraduates from Wisconsin who are enrolled in certain teaching programs. In return for funding, students must agree to teach, full-time, in an elementary or secondary school in Milwaukee. Award amounts range from $250-$10,000 per year for up to three years. You can have 25% of this loan forgiven for each year of work. However, if you don’t fulfill the forgiveness criteria, you’ll have to repay the loan with 5% interest. The HEAB webpage has more information regarding eligibility, forgiveness criteria and loan repayment. How to Apply: You must be nominated by your school’s Financial Aid Office. Contact the office for an application form. Summary: This forgivable loan is available to Wisconsin undergraduates or graduate students enrolled in in-state programs that prepare them to be licensed as nurses (RN or LPN) or nurse educators. In return for funding, students must agree to work in Wisconsin. Award amounts range from $250-$3,000 per year for up to five years. You can have 25% of this loan forgiven if you work for two years as a nurse or nurse educator after graduation and meet all other criteria. The remaining balance must be repaid at an interest rate of 5%. How to Apply: You must be nominated by your school’s Financial Aid Office. Contact the office for an application form. You should also file your FAFSA each year. Summary: This forgivable loan is available to Wisconsin undergraduates or graduate students who wish to be teachers of the visually impaired or orientation & mobility instructors. In return for funding, students must agree to teach in Wisconsin after graduation. Award amounts range from $250-$10,000 per year for up to four years. You can have 25% of this loan forgiven if you work as a teacher for two years and meet all other criteria. For the third year, 50% of the loan is forgiven. If you don’t fulfill your teaching obligations, you must repay the loan with 5% interest. Summary: Members of the Wisconsin National Guard Service can receive tuition grants for both full-time and part-time undergraduate study for up to eight semesters. These grants may be used at approved WI schools, WI Technical Colleges, schools approved under MN-WI reciprocity (see below) or certain schools in Iowa, Illinois and Michigan. Grants cover up 100% of actual tuition charged or the maximum resident tuition rate at UW-Madison, whichever is less. Grants cannot be used for room & board, books, fees and CEUs. Talk to your National Guard unit for more information. How to Apply: The Wisconsin Department of Military Affairs (DMA) has an online Wisconsin National Guard Tuition Grant Application. Summary: This grant helps Wisconsin veterans who have seen activity duty military service pay back tuition & fees for undergraduate studies. Coursework must contribute to a degree, certificate of graduation or course completion. The amount you receive is based on the length of your active duty (the “credit-bank system”) and any other tuition support you’re receiving. You are allowed to receive Federal GI Bill benefits and VetEd for the same semester. If you’re eligible for Wisconsin GI Bill benefits, you need to apply for and use these benefits in order to receive VetEd support. The VetEd webpage has detailed info on eligibility requirements. You can also talk to your County Veterans Service Officer (CVSO) for more information. How to Apply: The Wisconsin Department of Veterans Affairs (DVA) has an online WDVA 2200 Application. Summary: This program reimburses certain students for full tuition & fees at certain schools. To be eligible, Wisconsin veterans must have a combined service-connected disability of 30% or greater (as rated by the Federal VA). Spouses and dependents must be related to a Wisconsin veteran who died in the line of duty (active, Reserve or Guard) or died as the direct result of a service-connected disability. The bill forgives tuition & fees for up to eight semesters or 128 credits, whichever is greater. This is a state program and completely separate from the Federal GI Bill. The Wisconsin GI Bill webpage has detailed info on eligibility requirements. How to Apply: First, you will need to certify your eligibility with Wisconsin Department of Veterans Affairs (DVA). Second, you should talk to your school’s Financial Aid Office about reimbursement procedures. Contact the Wisconsin Department of Veterans Affairs (DVA) for more info about military and veterans benefits, including federal aid (e.g. Post 9/11 GI Bill). Summary: Minnesota and Wisconsin have an agreement that allows Wisconsin residents to attend Minnesota public universities and only pay resident tuition rates. A few caveats—reciprocity is not available for private colleges in Minnesota. Also, professional students enrolling in an MD, DDS or Doctor of Veterinary Medicine program in public institutions of either state are ineligible. The Tuition Reciprocity webpage has more info on eligibility requirements, the application procedure and deadlines. How to Apply: HEAB has an online Tuition Reciprocity Application. However, students who wish to attend a Minnesota Technical College should apply directly to the college. Summary: In addition to the MN-WI Tuition Reciprocity program, some Wisconsin schools have separate agreements with educational institutions in other states (e.g. UW System has an agreement with two Michigan community colleges; Wisconsin Technical Colleges have agreements with colleges in Michigan, Illinois and Iowa). Under these agreements, participating students are treated as residents and only have to pay the resident tuition rate. How to Apply: Contact your school’s Financial Aid Office for more details. College living is tough on the budget. We talk about various ways to save below, but we recognize you may have family commitments and/or issues with basic bills (e.g. groceries, child care, etc.). When that happens, try your state. Both the Wisconsin Department of Children and Families (DCF) and the Wisconsin Department of Health Services (DHS) offer help with food stamps, energy assistance, child care subsidies and tax credits. You can check your eligibility and apply for benefits via ACCESS. If you’re not eligible for state benefits, call 2-1-1 or visit the website of 211 Wisconsin. Run by United Way, 211 is a free referral service that connects residents with community resources. Specialists can refer you to affordable child care options, low-cost housing, veterans’ organizations, transportation solutions—you name it. Your local Community Action Agency will have information on similar services. Depending on your choice of Wisconsin college (e.g. public vs. private) and location (e.g. rural vs. city), rates for dorm rooms can vary widely. Campus living usually means utilities are included, rooms are furnished and commuting costs are nil. However, even if they double or triple up, some students still find prices very steep. To get a sense of whether you can afford it, visit the housing section on your university’s website to find the latest rates. Then use the budget calculators on sites like MappingYourFuture.org and CalcXML.com to compare on-campus costs (meal plans, dorm fees, etc.) with off-campus bills (groceries, utilities, etc.). You should also check to see if your college has a residency requirement. For instance, many UW System schools require recent freshmen and sophomores who are not living at home to live in university-operated residence halls. To save money in later years, you might consider becoming a Resident Assistant. Before you take out a big student loan to pay for room & board, make an appointment with your high school counselor, the Financial Aid Office and/or the residential life coordinator. These folks often have details about work-study programs, tuition waivers and little known scholarships. For example, UW has a Chick Evans Scholarship that covers full tuition & housing for golf caddies. Delta Theta Sigma offers modest In-House Resident Scholarships to high school seniors who plan to attend UW-Madison. A fair number of universities and colleges in Wisconsin are known as commuter schools—institutions with little or no university housing. Most UW-Milwaukee students choose to live off campus; many Technical College students are in the same position. That means you’ll need to think about your budget for security deposits, heating bills, renter’s insurance, commuting costs and more. A lot of students save money in these situations by sharing with multiple roommates, renting by the room and/or choosing apartments farther away from campus. Remember, too, that you also have the option to live at home and go to a community college before you transfer to your chosen university. Once you’ve decided to rent, take a look at the housing section on your university’s website. Colleges are pretty good about offering rental advice, sample budgets, assistance to homeless students and affordable off-campus listings. For example, UW-Milwaukee has a Neighborhood Housing Office; UW-Madison has a Campus Area Housing website where you can search by price; and UW-Whitewater has an Off Campus Transition Guide. Other places to look for cheap housing include Craigslist (just be aware of potential scams!) and campus-focused rental sites (e.g. Abodo, CampusRent.com, MyApartmentMap.com, OffCampus.com). Experiencing a housing crisis? HUD.gov has a list of Homeless Assistance Agencies in Wisconsin, which you can compare with the Wisconsin Homeless Shelters directory on HomelessShelterDirectory.org. Utility prices in Wisconsin hover around the national average, but winter is particularly tough on the budget. Before you sign any lease, make sure you know what your landlord is willing to pay for (e.g. sewer, water, etc.) and what you have to cover. You can ask your landlord or utility company for an estimate of monthly bills, or you can talk to former renters to get a sense of the budget. Already own a home or renting? You may be able to get a break on your bills. For example, the Wisconsin Division of Energy, Housing and Community Resources runs WHEAP and WisWAP. (You can call 1-866-432-8947 at any time for information.) Focus on Energy partners with Wisconsin utility companies to install cost-effective energy solutions. And many utility companies operate their own initiatives (e.g. budget bill-pay, subsidies for low-income residents, etc. ), which are listed on their websites. Talk to your local Salvation Army post if you need further help. Almost all postsecondary institutions (even community colleges) have a student/campus health center where you can find affordable medical care. In well-funded private schools and big state schools, these centers may have a lot of services. UW System schools typically provide basic primary care, immunizations, STD and contraceptive services, nutrition guidance and psychiatric assistance. UW-Madison even has a 24-hour crisis line for mental health issues. Another option is to try your community. The DHS has a great directory of Free or Low Cost Health Clinics in Wisconsin and the Milwaukee Health Department has a similar list of Free and Low-Cost Clinics in Milwaukee. Some, but not all, of these clinics will also provide mental health services. If you can’t find anything, Mental Health America of Wisconsin has useful resources for underinsured. The Mental Health Crisis/Suicide hotline is 1-800-273-8255. Find cheap dental care may require a bit of investigation. Happily, the DHS has a list of Low or No-Cost Dentists in Wisconsin and the Wisconsin Dental Association (WDS) has a similar directory of Reduced Rate Dental Clinics. If you live near a dental school (e.g. Marquette University School of Dentistry) or a school of dental hygiene, you should also ask about discount rates. Because universities are training student dentists, they’re often willing to slash their prices for patients. The list of Wisconsin institutions with daycare facilities includes UW System schools, a number of Wisconsin Technical Colleges and a variety of colleges. Because these centers are also open to university employees, it always pays to apply as early as you can. While you’re there, ask your school if it offers discounts or subsidies to student parents. For example, in its list of Child Care Assistance initiatives, UW-Madison has a Child Care Tuition Assistance Program (CCTAP), a Single Parent Scholarship Program, discretionary child care grants and more! You can also see if you’re eligible for state and community programs. The state’s child care subsidy program is Wisconsin Shares, but individual child care providers will also have advice on low-income options. To find a child care provider in your area, you can use YoungStar, the DCF’s child care search engine. Or you can call 1-888-713-KIDS to speak to a real person about your needs. Commuting costs come with a whole lot of variables. Will you be working multiple jobs with odd hours? Do you have kids? Can you find an inexpensive apartment nearby? Does your university provide free shuttles to off-campus locations? Can your choice of car, bike or metro handle the winter weather? Whatever answers you gave to these questions, we still recommend a quick visit to the transportation section of your university’s website. It won’t be exciting, but it will have tons of info on carpools, ride shares, campus shuttle schedules, parking discounts, bike programs and local transport deals. For example, lots of students at La Crosse find it easy to get around the city on MTU busses with the free U-PASS program. The Milwaukee County Transit System runs a similar U-PASS program for students of UW-Milwaukee, Marquette University, MATC, MIAD, Milwaukee Career College and Bryand & Stratton College. National carriers like Amtrak and Greyhound also offer discounts to university students. Thanks to increasing demand, campus food pantries now exist at a number of UW System schools, Wisconsin Technical Colleges and even private schools like Marquette University. Across the U.S., universities are offering leftover food from dining services to low-income students and sponsoring free food giveaways. If you’d like to be part of the change, UW-Madison has a strong advocacy group called the Wisconsin HOPE Lab. The state’s food stamp program is called FoodShare Wisconsin, but we know you may not be eligible for it. The state also runs The Emergency Food Assistance Program (TEFAP), which provides food to folks whose gross household income does not exceed 185% of the poverty level. You can search a map of TEFAP providers to find the nearest one to your town. New mothers and moms-to-be might wish to see if they qualify for the Wisconsin WIC Program. Compared to Madison, Milwaukee has a reasonable overall cost of living. That’s mostly due to low rents and mortgages. Bitter winters require heat, so keep an eye on your utilities costs. On the up side, college students are eligible for U-PASS on the Milwaukee County Transit System. And UW-Milwaukee is right in the middle of everything, with plenty of access to cheap entertainment, lakefront activities and 140+ free parks. Milwaukee is a proud town with a proud history, and there are lots of organizations aimed at supporting dreams of college. Here are a few examples of programs for residents, but there are plenty more about. The Milwaukee Public Schools (MPS) Foundation, Inc. has a modest list of college scholarships that are open to public school graduates. Minority students can also check out scholarships for minority students administered by the Metropolitan Milwaukee Association of Commerce (MMAC). Journey House has developed a College Careers program for teens, non-traditional high school graduates (GEDs), or anyone wanting to transition to postsecondary school. It includes job training/preparation workshops, college tours, help with the college application process and mentorships. The Milwaukee branch of College Possible helps low-income juniors and seniors with admissions tests, college applications, scholarships and financial aid. Students are assigned coaches/mentors who provide advice, counseling and guidance well into the college years. Summit Education Association runs a variety of K-12 programs for Milwaukee’s inner city youth. Its College Bound Program—with campus visits, ACT prep, career presentations and individual advising—helps high school students who have been through earlier Summit initiatives. If you need assistance with a specific issue (e.g. food, affordable child care, etc. ), IMPACT 2-1-1 has an online database of social services & community organizations for residents of Milwaukee, Waukesha, Kenosha, Racine, Ozaukee, Washington, Dodge, Jefferson and Walworth counties. The City of Milwaukee has more general information about city services and neighborhood groups. Madison is the most expensive city on our list of three, thanks to high housing and healthcare costs. Having said that, you should be able to find an apartment in lower-rent neighborhoods. A lot of students walk and bike, but winter snows can lead folks to turn to the bus system (check out the Metro Pass programs). Mad City is known as a college town, and UW-Madison alumni rave about the lakefront, the downtown and all the affordable entertainment options. We’ve listed a sample of Madison organizations that can help you prepare for college, but there are plenty of others out there. Ask your high school guidance counselor or the Financial Aid Office at your intended school for more suggestions. The Madison Community Foundation (MCF) administers ~90 college scholarships to Dane County residents. Aspiring Madison College students should also check out scholarship opportunities from the Madison College Foundation. United Way of Dane County (UWDC) has an online database that includes links to all kinds of college scholarships and education support programs (e.g. GED prep, homeless school transition programs, academic counseling, etc). It’s a great all-in-one resource. The Urban League of Greater Madison (ULGM) operates a variety of college/career preparation programs in Madison K-12 schools. It also runs a large number of career academies and a single family home ownership program for low-income residents. The Nehemiah Center for Urban Leadership Development is designed to empower African American individuals, families and communities in the greater Madison area. Its LIGHT (Learning Is our Greatest Hope for Tomorrow) Program supports high school students with an after school program targeted at careers & postsecondary education, workshops, field trips and occasional week-long college tours. The Boys and Girls Club of Dane County (BGCDC) has developed the AVID/TOPS program to help high school students prepare for college. In addition to targeted in-school classes and tutoring, the program offers college preparatory activities, paid summer internships and eligibility for college scholarships. If you need assistance with a specific issue (e.g. cheap housing, utilities bills, etc. ), UWDC’s online database of social services & community organizations serves Dane, Columbia, Green, Iowa, Lafayette, Rock and Sauk county residents. The City of Madison, Wisconsin has more general info on city services, including public transport. Like Milwaukee, Green Bay’s overall cost of living is below the national average thanks to low rents and mortgages. The winters can be brutal, so keep in mind your heating bills. University housing is fairly comprehensive—even NWTC now has dorms. UW-Green Bay is 20 minutes from Lambeau Field, but students sometimes complain about the isolated campus (a lot of the city requires a 10-20 minute drive by car). If you don’t like football, you’ll have a variety of free parks to explore. Bring your snowshoes. Green Bay has an assortment of organizations that can prepare you for college and the workforce. We’ve only listed a few—your high school guidance counselor and United Way will have more suggestions. The Brown County Community Foundation (BCCF) manages a number of college scholarships, mainly for Brown County High School graduates. However, there are funds available for vocational education and/or non-traditional students. You can apply with the BCCF Scholarship Application. In conjunction with a number of local partners, the Bay Area Workforce Development Board (BAWDB) runs a WIOA Youth Program for low-income youth ages 14-24. The program provides work experience, career exploration, mentoring and help with preparing for the next stage of life (e.g. GED/HSED prep, advanced training and/or enrollment into postsecondary education). Wisconsin’s Youth Apprenticeship Program is designed for high school students who want hands-on learning in an occupational area as well as classroom instruction. It offers students a change to focus on a career area (e.g. manufacturing, finance, health science, etc.) and work in apprenticeships. Contact your local YA coordinator for more info. If you need assistance with a specific issue (e.g. transportation, food shortages, etc. ), Brown County United Way (BCUW) has an online database of social services & community organizations that serve county residents. The City of Green Bay has more general info on city services, including housing options.